Lil Bit of Love Rescue was formed in 2015 and specializes in rescuing dogs with medical needs. Lil Bit of Love works closely with Pima Animal Care Center (PACC) to prevent sick dogs from entering that shelter and instead, get them into foster homes where their medical needs can be treated and carefully monitored. LBOL helps all ages and breeds, and has treated conditions including, but not limited to, mange, hydrocephalus, fractures, puppy strangles, paralysis, ringworm, diabetes, abuse, tumors, and parvo. 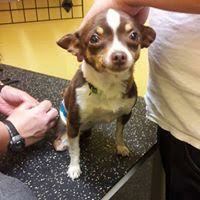 Pete came to Lil Bit of Love when a concerned neighbor contacted them about a dog that was left to heal on his own after being hit by a car. The neighbor saw Pete dragging himself in the dirt outside. LBOL took him to the vet and it was determined Pete was now paralyzed as well as missing half of his rear leg from dragging himself in the dirt. LBOL made sure to get his ulcers and wounds fixed. Next step was getting Pete in a wheelchair so he could enjoy getting around with ease. Now Pete just needs a special adopter for such a special little guy! Follow Lil Bit of Love on Facebook. 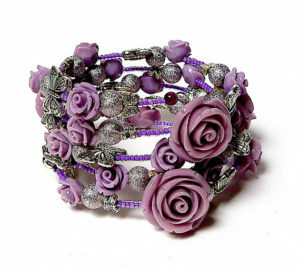 Bracelets are also available online and we ship worldwide (postage determined by destination).